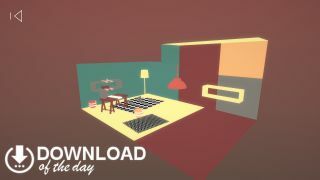 It looks like a page torn from an IKEA catalog, but Empty is actually a smart puzzle game that presents a simple challenge: clear the room of all items. The room is rotated using your mouse, and the goal is to line up objects against backgrounds of the same color. For example, in the image above, you would need to rotate the room until the lamp is obscured by the yellow floor. Once you'd matched an object, it disappears. The first few levels are a gentle introduction, but things soon get trickier with the introduction of objects that change the color of walls, meaning you have to work through the room in a specific order. Completing a level is very satisfying, and the game's relaxing soundtrack means even the tougher levels won't leave you frustrated.